CINCINNATI, Ohio – The final day of the National Volleyball League (NVL) Midwest Championships will open with No. 4 seed Mike DiPierro & Jon Mesko trying to redeem themselves against No. 12 seed Skyler McCoy & Mark Williams after being defeated by the underdog team last week in the Milwaukee Championships finale. With McCoy and Williams clearly syncing on the court, it’s anyone’s guess which team will move on to the semi-finals and face the winner of No. 2 seed Andrew Russell & Travis Schoonover and No. 3 seed Dave Palm & Eric Zaun. In the men’s contender’s bracket, it’s No. 5 seed Skylar DelSol & Jeff Samuels versus No. 11 seed Brandon Joyner & Drew Mallin, and No. 12 seed Martin Caban & Gregor Lah versus No. 6 seed Andrew Hinchey & Ryan Vandenburg. In women’s action, No. 1 seed Kristen Batt-Rohr & Priscilla Piantadosi-Lima will try to avoid an upset against No. 13 seed Meghan Mannari & Taylor Nyquist. No. 3 seed Kim Hildreth & Karolina Sowala will have to overcome the reigning Milwaukee champs, No. 10 seed Vivian Cunha & Raquel Ferreira. Battling to get back into the winner’s bracket, No. 5 seed Molly Menard & Michelle Williams will take on No. 9 seed Lauren Dickson & Jayna Duke, and No. 4 seed Chara Harris & Brittany Tiegs face No. 11 seed Anne Osburn & Megan Rice. NVL RIZE, the National Volleyball League’s official amateur series, will also host its finals on Saturday, taking place on center court before and after the pro women’s finals. Tickets are available for purchase here and at local Menards locations. Center court matches will be aired live at 9 am EST for free at TheNVL.com/webcast. 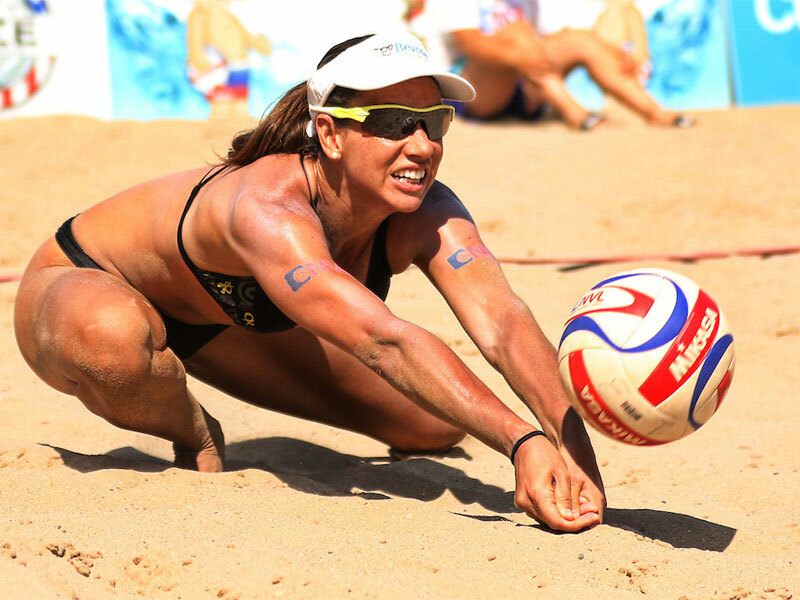 The official tournament hashtag is #NVLMIDWEST.